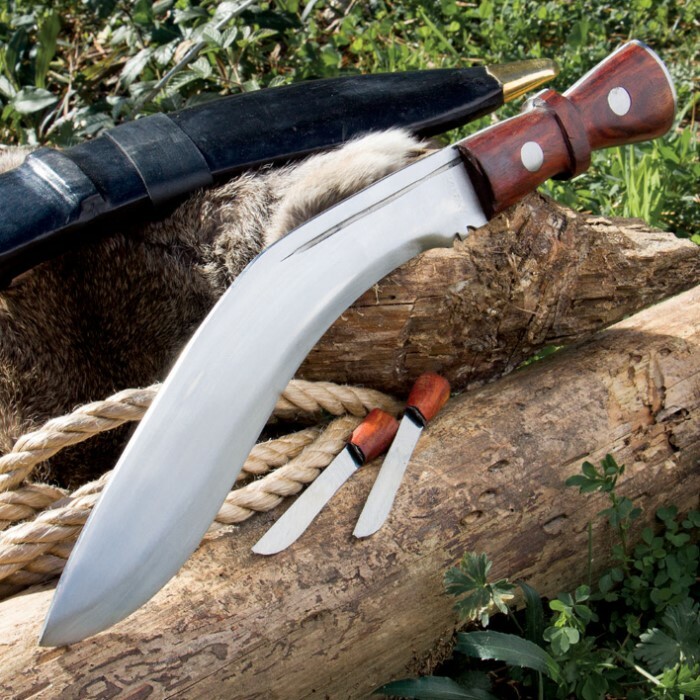 Genuine Gurkha Kukri with Traditional Accessory Knives and Leather Sheath | BUDK.com - Knives & Swords At The Lowest Prices! This hefty beast is the king of edged weapons! 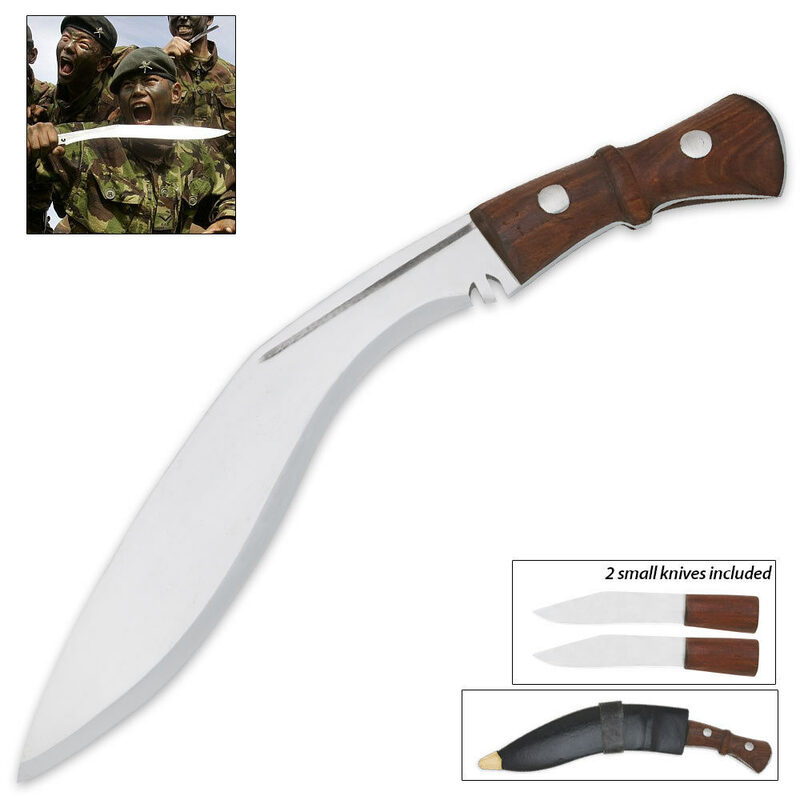 This knife is the national symbol and constant companion of the great Gurkha warriors who fought many battles with this iconic weapon leading the way. The cutout is a religious symbol associated with the Gurkha Goddess of Might. This classic kukri features a hand forged 12" high carbon steel blade, which is a stout 1/4" thick. The handle is carved from rugged hardwood. Two traditional fixed blade knives are also included, each measuring 4" overall. One of these knives, the “Karda,” is a small utility knife used for fine cutting tasks; the other, “Chakmak,” is traditionally used for sharpening both the main blade and utility blade. 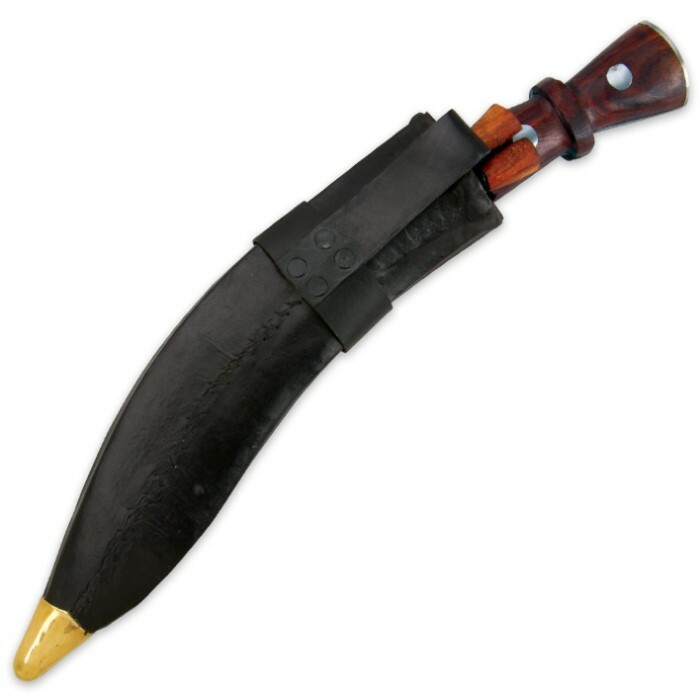 A high quality leather sheath houses it all.